Resources for the deaf and hard of hearing are numerous and can be overwhelming if you do not know where to look. This section breaks down resources by topic and suggests where and how you should conduct your searches to find relevant information. In most cases, suggestions for terms to enter into Google are provided rather than direct links so you can compare the recommended sites with others that may have additional relevant information. (NOTE: The search terms may not provide the same results if used with another search engine.) The resources provided here are merely suggestions to help you quickly find information, and in no way are meant to be a comprehensive list of the data available. Advocacy groups like AG Bell, the National Association for the Deaf, or the American Society for Deaf Children may offer workshops or presentations on being deaf. Cochlear implant companies often offer online courses. The three main cochlear implant manufacturers are: Cochlear, Advanced Bionics, and MED-EL. To hear a simulation of sound as it may be heard by someone with a cochlear implant, enter the search term "Cochlear implant simulation" into Google to find simulations by the University of Texas, University of California Irvine, the House Research Institute, and others. Wrightslaw provides information on education law and laws pertaining to children with disabilities, and includes resources about IEPs and Section 504 plans. To find this information, enter the search term "Wrightslaw IEP" or "Wrightslaw Section 504" into Google. The Individuals with Disabilities Education Act (IDEA) explains education provisions for children with disabilities, as required by law. For more information on this Act, enter the search term "A great idea: IDEA legislation" into Google. The California Ear Institute's Hearing Device Center has comprehensive information and practical advice regarding different assistive listening options. For more information, enter the search term "California Ear Institute Classroom Assistive" into Google. Boys Town National Research Hospital has a website with a section devoted to the use of FM systems in the classroom. For the link to the document entitled "FM Systems for the Classroom," enter the search term "Boys Town FM Systems for the Classroom" into Google. Gallaudet University's Laurent Clerc National Deaf Education Center has a website on working with children with cochlear implants in the classroom. The site includes helpful strategies for performing sound checks and instructions on making a listening hoop to use while performing the Ling Six Sound Test. To reach this website, enter the search term "Training the ear to listen" into Google. The British Association of Teachers of the Deaf website offers an article written by Richard Hughes on generic cochlear implant troubleshooting. This article also provides links to manufacturer websites. For more information, enter the name of the article "Generic troubleshooting of a cochlear implant system" into Google. Ellie's Ears is a storybook appropriate for small children. The main character has bilateral cochlear implants and explains them to her friend. Boschini, E., & Chaikof, R. (2008). Ellie's Ears. EaR Books. 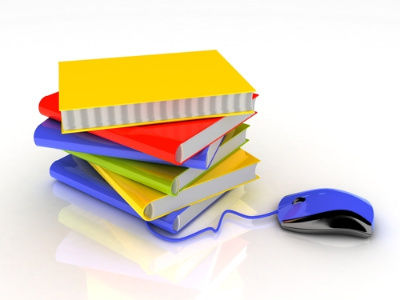 The website of the Laurent Clerc Deaf Education Center at Gallaudet University offers a list of numerous books and resources to help discuss hearing loss and cochlear implants in your classroom. To reach this website, enter the search term "Helpful Resources and Books for Parents of Children who are Deaf" into Google. Issue 2 of the 2006 Advanced Bionics newsletter contains an article titled "Cochlear Implant Centers Are From Mars, School Systems Are From Venus, and Parents Are From Jupiter: Improving the Communication Process." The article addressed the issue of communication among members of the educational team. To access this document, enter the search term "Tools for Schools Cochlear Implant Centers are from Mars" into Google. To download the file, click on the Issue 2 link under the heading "2006." The National Dissemination Center for Children with Disabilities (NICHCY) website has a section called "Resolving Disputes Between Parents and Schools." To access this information, enter the search term "NICHCY Resolving Disputes" into Google. Share Library with your friends.